Has The Nintendo Switch Finally Been Hacked? A recent kernel dump means the Switch is one step closer to being fully hacked. Gamers have heard this story dozens of times before: a new system comes out, particularly a new handheld system, and hackers start putting all their efforts toward dismantling the software in an attempt to alter its functionality. Through various exploits, dedicated teams have been able to run bootleg software on systems like the Nintendo 3DS or PlayStation Portable in order to run unapproved software like emulators or other homebrew applications. In some cases, hackers are even able to directly control proprietary hardware, allowing users to play pirated software directly on the device it was developed for. Naturally, all of these efforts take time; unfortunately for Nintendo, it only took curious software spelunkers about four months to break into the Nintendo Switch's software. 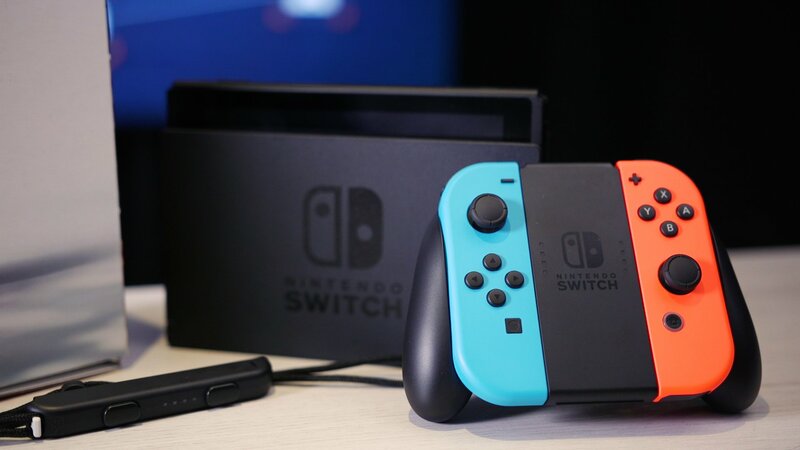 Hackers have now claimed to have dumped the Nintendo Switch's kernel, which means that homebrew software and emulation exploits could be right around the corner. Put into simplified terms, a kernel is a computer program that allows various hardware components to interface with system applications. For example, a kernel is responsible for handling things like input from controllers or keyboards, turning them into instructions that can be understood and manipulated by the device's hardware. A kernel can thought of in terms of a control center -- everything that a system can do within any given program or application runs through the kernel, which in turn allows the kernel to dole out information to be sent to places like the processor, memory, or other devices. It's traditionally not something that the user interacts with directly, but is instead something that helps computers or game systems handle tasks on a typically-unseen level. What Does A Kernel Dump Mean For The Nintendo Switch? In a nutshell, complete access to the Nintendo Switch kernel will allow tech-minded users to understand how the Switch operates at a fundamental level. In manipulating the kernel, hackers or crackers would be able to control the bridge between hardware and software. Practically speaking, this means that coders and other developers could potentially send Nintendo Switch input signals to their own software -- something like an NES emulator, for instance -- and it would also allow them to do a number of things with the Switch's software, including but not limited to making illegal copies of games and other applications. So Has The Switch Been Hacked? Can I Run Homebrew Software On The Switch? For now, the Switch has not been hacked. Assuming the kernel dump isn't just heresay, however, users will likely soon have a very fundamental understanding of how the Switch works, and it will only be a matter of time before hackers can begin manipulating the software to do things that Nintendo wouldn't approve of. It's entirely possible that user-level exploits and homebrew software will come to the Switch very soon. With that said, we won't be reporting on exactly how these methods will work. Still, a breakdown of the kernel will open the floodgates for would-be jailbreak developers to start bending the Switch toward their own ends, and it's very likely that Nintendo is already working to put the kibosh on their efforts. In addition, when or even if the Switch plays host to new exploits, Nintendo will release patches to remove the exploits. It's generally not a good idea to try to hack hardware in order to run bootleg software. In the case of the Nintendo 3DS, many users were recently subjected to a massive ban wave that kicked their systems offline. Use of unauthorized software generally voids the terms of service, and for Switch players, any such efforts could very well brick their systems. Treating your Nintendo Switch with care and respect means more than just avoiding software exploits, it also means wrapping it up in a protective case like one of those featured on our list of the Best Nintendo Switch Cases.